‘100 ideas for’ ‘101 ways to…’ etc etc, everywhere you look there are books or posters with a defined number of ideas on them. Which is great, but every so often amongst the pages, or 3/4 of the way down the poster you see something that makes you think ‘They’re wishing they’d picked a lower number!’. Well I’ve opted to share a few of my changes, although there are loads of things I’m doing differently this year I’m never going to be able to write down 100 snappy ones that would make for interesting reading. So I’ve opted for 10! 10 things I’ve changed this year in my class or in my general approach to teaching. I hope in sharing them they inspire some changes in readers. 1. 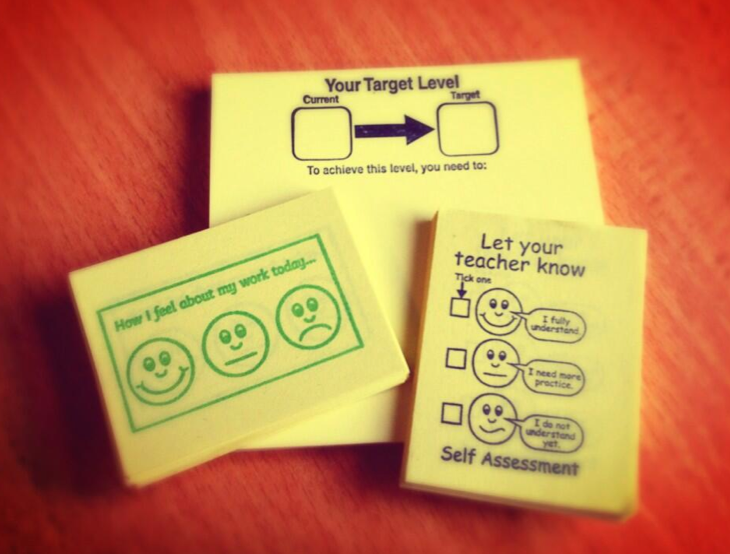 Sticky notes (you all know these things) I’m using these every lesson, they’re honestly great! ‘Using only the space on that not write a concise answer to…’ or ‘on this note list the key terms for this lesson and stick it in your book’ even ‘on this note tell me how you feel about the knowledge you’ve learned this lesson’ see this post for more info on post-its. 2. Focused more on plenaries (not just at the end) I started planning lessons with as many activities to review and practice theory in them as possible…its keeping students focused, making planning interesting and lessons more engaging. 3. Thought more about Kinesthetic learners, I was in a rut last year with activities, lots of ‘investigate…’ and ‘write down…’ now I’m ‘sort…’ ‘compare…’ ‘re-organise…’ lots more paper shuffling by students (especially at the start of lessons). Using things like buzzers to keep questioning engaging! 4. Focused on 5 minute lesson planning & particularly ‘stickability’ (what I want them to have learned when they leave the room). 5. Decided to share more, I didn’t come up with all the ideas I use in class, I found them on twitter, pinterest, in conversations and observations, so I decided to take ownership over a large display board near our staff room and regularly share ideas I’ve found by sticking the to the board. 6. Focused on vocabulary in lessons – every lesson, from KS3 to A2 either starts of has planned time to focus on vocabulary use and importance in coursework and exam practice. 7. 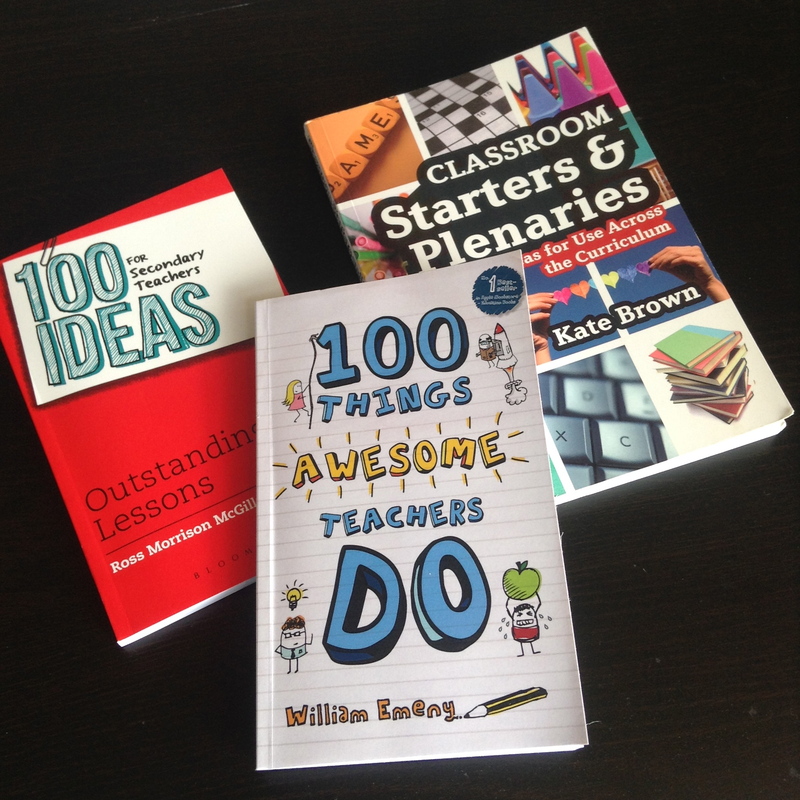 Decided to do more wider reading, books like 100 ideas for secondary teacher outstanding lessons & 100 things awesome teachers do are books I’ve bought and read in the last two weeks, both of which have had instant impact on my lessons (usually the next day). 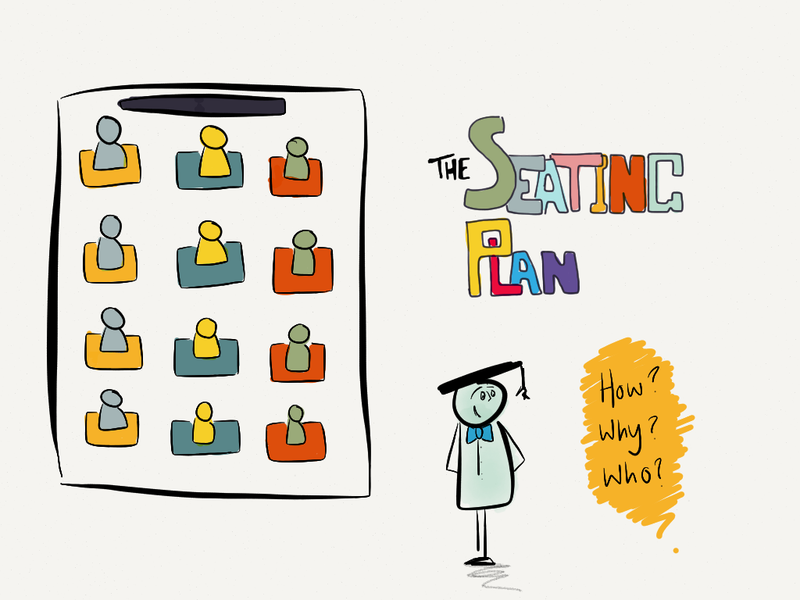 Things like my revisiting the use of seating plans came from wider reading this year. 8. Focused on keeping myself fit, I’ve bought a new bike through the cycle scheme UK and have set a target of cycling 40+ miles a week to give me some ‘brain cool down’ time and keep me fit! It’s honestly SO important in teaching to keep your body and mind as healthy as you can! So this year when the going gets tough, I’m going for a bike ride! 9. 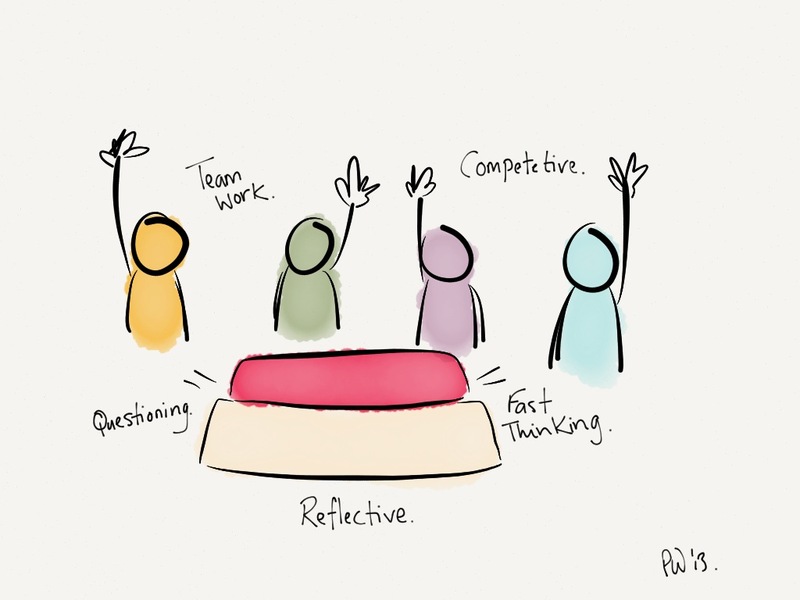 I partnered with a hugely creative colleague to organise regular teachmeets in our area. I want to share more with as many teachers as possible and I want to foster that attitude in our local area of sharing and learning as teachers! 10. Last, but certainly not least I’ve set myself the challenge of using data more frequently to effectively support and monitor students progress. Yes I do this already, but I suppose my real challenge should be ‘to find better ways to support my students using the massive amount of data we collect’. 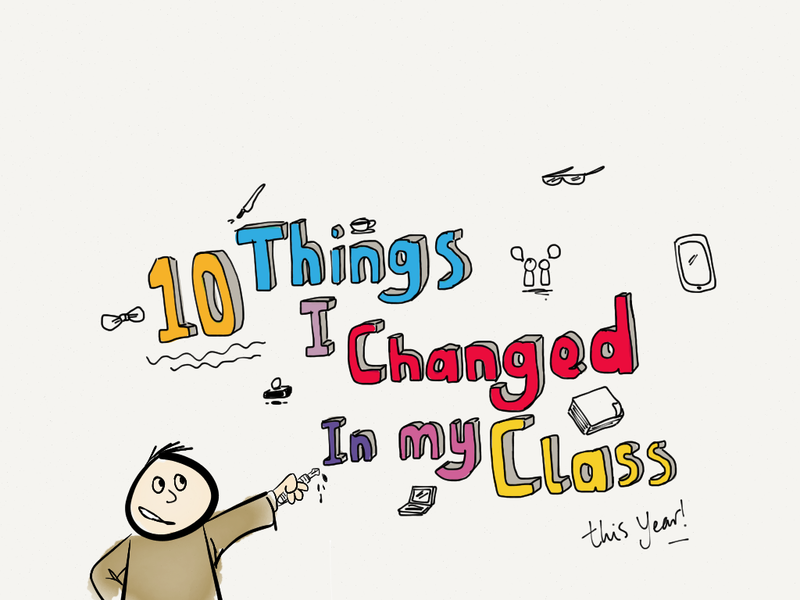 That’s my top 10 things I’ve change in my class (or in my approach to teaching this year) anyone set a similar top 10? I’m also writing a similar ten point list for my blog right now. Will be up tomorrow. around 20+ hours from now. I like your topmost image. How did you make it? I’m pretty sure that finding such a relevant image on the internet somewhere would be impossible. Good way of focusing the mind doing such lists aren’t they? I drew it using the App Paper on the ipad, trying to make the drawings a bit a trade mark for my blog this year as they get a lot of positive feedback when I use them at work. Yep, I usually do brainstorming for such things late at night. Ideas flow well at a time like that. And evernote is great for jotting down thoughts.